This week’s free app is the puzzle solving game Cut the Rope: Magic. Normally it’s $1, but you can get it free from iTunes until Thursday, April 27th. The Cut the Rope franchise is almost as popular (and addictive) as Angry Birds. 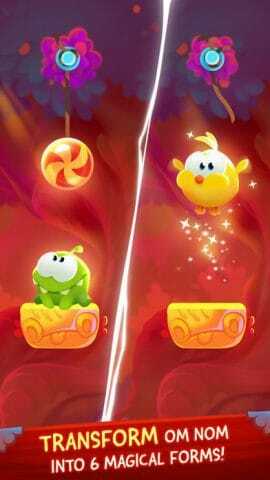 Your goal is to “cut the rope” in as few steps as possible and get stars. 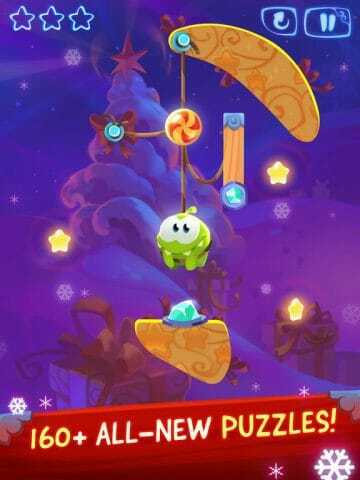 In this version, Om Nom (the main character) can change into all sorts of animals. That’s the magic part of the game. Pretty much anyone young or old will enjoy these type of quick puzzle games. This version has 160 levels included. The game has a ton of in-app purchases so be sure the password is locked down for the kiddos. Om Nom is adorable and gets cuter every time you change him. The app takes up around 193MB. It’s one of those games that’s quick to play when you have a few minutes, or just hand it to the kids to keep them entertained for a while.